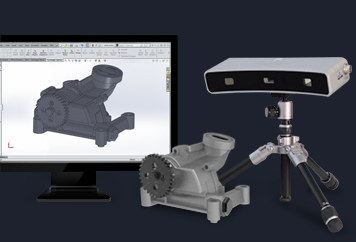 Quickparts Solutions, from 3D Systems (NYSE: DDD), is a manufacturing services company dedicated to providing customers with an online e-commerce system to procure low and high-volume custom manufactured parts. We have changed the way product development and manufacturing professionals outsource custom manufactured parts with our QuickQuote®System, which enables buyers to get INSTANT, CUSTOM-GENERATED quotations for the production of their parts. The user simply uploads his/her own 3D CAD geometry, and the QuickQuote analysis engine evaluates the part geometry, the required materials, lead time, and quantity. For more information contact Quickparts, Inc.